The Best Santa Cruz has to offer! We are lucky to have a rather diverse range of food here in Santa Cruz, from the Hidden fine dining of ShadowBrook and to the Santa Cruz Wharf with it’s superbly fresh seafood and beautiful views. 12 Best Restaurants in Santa Cruz for any meal. 1. Are you one of the bets restaurants in Santa Cruz? Contact us today to advertise on this page. My absolute favorite breakfast of all time is in Santa Cruz. Santa Cruz is known for it’s weather, it is a retreat for both the Monterey and San Francisco bay areas. Santa Cruz’s beautiful sunny afternoons and cold water, clean air and abundant trees are our main draws. My favorite breakfast goes in the opposite direction, when I wake up early, look out my window and see the cool calm grey of a morning after a night of high winds and pouring rain I head for breakfast at the Blue Dolphin at the end of the Santa Cruz Wharf. The Santa Cruz Wharf is a beautiful drive over the ocean any day of the year, with beautiful views of Main Beach and steamer lane. Add to the Santa Cruz Wharf’s beautiful view giant storm fueled waves racing by, sprinkles and sprays of nearly freezing water and sun streaming through, warming the asphalt and perfectly highlighting the 65 degree weather. Sipping coffee in a window and watching it unfold always leaves me well fed and in awe of nature. Whether you are traveling or you call Santa Cruz home, everyone loves to find new culinary gems and restaurants to count amongst your favorites. 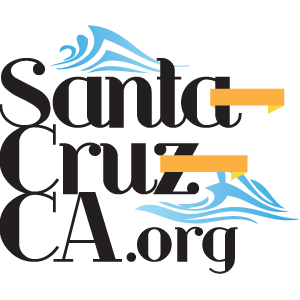 Santa Cruz Restaurants have a lot to offer, and there are a few places, like down town ave, as well as the Capitola Village that offer a higher than average density of great food.